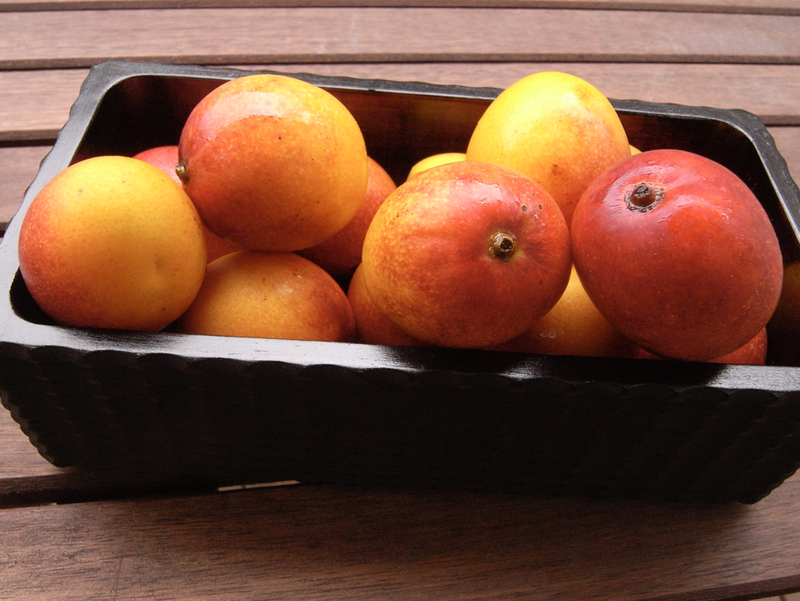 Carefully produced Japanese fruits are expensive, often exquisite and beautiful. Fruit as a keyword to explore Japan leads to gastronomy, delicious taste and olfactory experiences, the meeting of rural Japan and the encounters with the easy going shy but gentleness of growers and fruits’ stakeholders. Rural Japan is the less trodden side of the country because the less touristically developed. It is the closest gateway to authenticity. I plan fruit focused trips in Japan for fruit professionals first, but also for amateur gardeners and anyone with tastebuds and curiosity about fruits, and the attached regional gastronomy. When you add up all fruit cultivars grown in Japan, the figure is close to a staggering 1000. Strawberry alone can make for a trip topic, but you may want to expand your fruit adventure beyond. Here is a very summarized calendar of fruits in Japan. Availability and crop timing may differ. A fruit tour can start right away in the big cities with markets, fruit parlors, fruit focused pastry shops and a few other destinations. Some small orchards can be found right inside the cities. Enjoying fruits means eating fruits, and eating good fruits is usually expensive. Tasting exceptional fruits can be very, very expensive. Fruit tours are not for low budget. Fruit discovery is also the perfect pretext to tread into rural Japan, visit orchards, participate to harvest and experience a different important side of Japan where slow food and slow life are a matter of facts bringing to you a total change of mind and mood with the busy urban centers. Fruits come with seasons and no fruits are available round the year. Fruits harvest and availability may differ, especially with some varieties of citrus. Fruits are expensive. Good fruits are very expensive. Growers are busy. Orchards offering fruit picking experiences for tourists are few and usually boring. The real experience of fruits in producing territories is to be found at those growers’s locations that are only busy with production. Orchards are usually located away from cities with poor to no public transportation. Fruits gastronomy is traditionally limited. Fruits are usually eaten raw with the minimum of preparation. Fruits cooking is to be experienced mostly in urban environments starting from pastries. Fruits discovery ushers in a trip in Japanese gastronomy way beyond fruits. Expect excellent unlisted destinations for food, saké and other delights. All tours are private, customized, not based on formula but exclusively designed to your needs and envies. Tours targets professionals, corporations, amateurs, researchers and food lovers. The scope and content of a tour vary upon your category. Minute planning is provided but logistics is implemented by yourself based on precise indications, or through a travel agent. Tours are led, facilitated and communicated in English or French, but other languages can be taken care of. A recommended minimal tour in provincial destinations is three nights. Day tours with a base in Tokyo, and urban fruit tours are also an option, for professionals and amateurs as well.